Sustainable, heatlh-promoting HVAC technology helps advance comfort in the home. 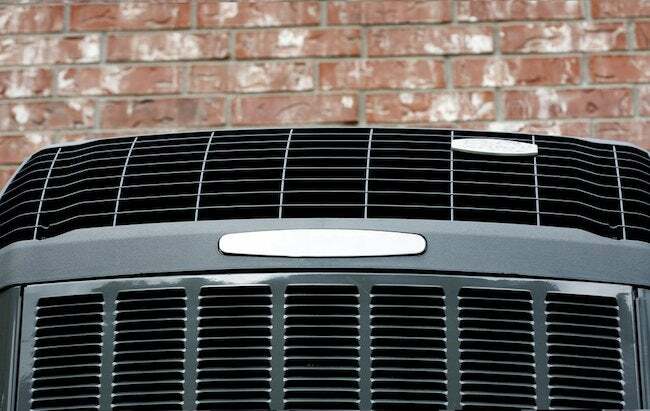 Today’s HVAC is more than just the equipment that heats, ventilates, and cools our home. It is the intersection of energy efficiency and indoor air quality—that point at which our home concerns can merge or collide, depending on how we address them. There are many reasons for a home to feel uncomfortable, says David Lee, Director for the Residential Branch-Energy Star New and Existing Homes Program at the Environmental Protection Agency. You can put in an Energy Star-qualified air conditioner but if it is not installed properly or the duct distribution system is incorrectly designed or leaky, your home will still be uncomfortable. The refrigerant charge, the airflow across the coil and whether the air conditionier was sized properly can all play roles. That’s why it is increasingly important to take a holistic approach when looking at your home’s HVAC. Instead of thinking that the only solution is to replace a furnace or air conditioner, first determine why your home is inefficient. A no-cost way to get started is through the Energy Star web site. Gather a year’s worth of utility bills, click on the site’s Energy Star Home Advisor, and answer a few questions about your home mechanicals. You’ll get some recommendations to consider. Next, go to the Home Energy Yardstick, enter some basic data, and see how your home stacks up with other U.S. homes, your pollution output, and other possible improvements. Then, read the information on the site to get an understanding of what’s happening in this field. Next, consider more specific advice for your home. A trained inspector could provide an energy audit. There are several state programs that certify inspectors and many of them are affiliated with Home Performance with Energy Star, the program from the EPA and U.S. Department of Energy. Ask a potential inspector what is included in an evaluation, what tests are conducted and if recommendations are by priority and might include any cost-benefit analysis. Currently each home energy audit varies depending on the inspector. 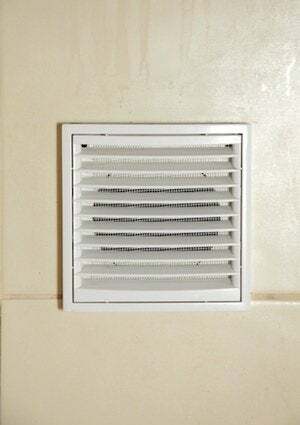 One might provide a blower door test and check insulation while another might inspect ductwork, use an infrared camera and check your faucets for leaks. But that is changing. Residential Energy Services Network (RESNET)—an industry not-for-profit membership corporation headquartered in Oceanside, Calif., and national standards making body for building energy-efficiency rating systems—has proposed a national framework for the home energy audit process, according to Kelly Parker, a past president of RESNET, president of Guaranteed Watt Saver Systems Inc. in Oklahoma City, a professional engineer in 14 states and a LEED-accredited professional. Parker says RESNET, working with the EPA and DOE, has proposed a standard that is currently undergoing review that offers three audit levels. A basic audit survey could be performed either free online, as with the Energy Star yardstick, or with an in-home survey. Its intent would be to refer homeowners to the next level if it’s determined that a home needs further analysis and the homeowner wants to invest in improvements. The second audit level would be a diagnostic audit costing between $300 to $650 that would include the audit survey and specific performance testing, such as blower door and duct leakage. The third level would be a comprehensive home energy audit that would include specific Home Energy Rating (HERS®) evaluation, diagnosis and proposed treatment, costing between $500 to $900. It could also include calculated energy and environmental savings with recommended improvements. To get that smooth merging of energy efficiency with a healthy, comfortable home, homeowners must learn more and demand more. Just buying high-efficiency equipment does not solve everything. That’s a misconception, says Laura Capps, director of Residential Green Building Services for Southface in Atlanta. Southface is a nonprofit that promotes sustainable homes, workplaces, and communities through education, research, advocacy, and technical assistance. Rule-of-thumb calculations for sizing equipment—so many tons of air conditioning per square foot of living area, for example—are no longer enough. 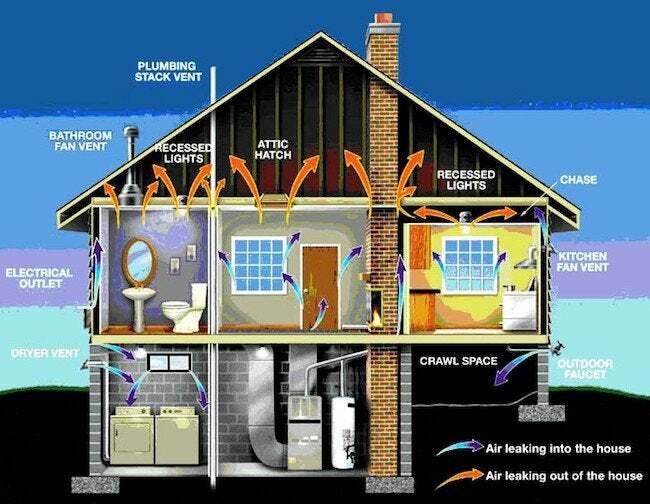 Each home’s heating and cooling loads vary with its window area, air leakage, insulation levels, orientation, shade, and more. Uhde says an HVAC installer needs to do three critical tasks: perform an Air Conditioning Contractors of America (ACCA) approved Manual J load calculation, size the equipment based on the load calculation results, and provide a Manual D duct design. It’s important that homeowners be involved and educated since many contractors try to skip this step (even though most codes require it) and it is the most crucial step in the process. She says just asking for the Manual J is a good start. HVAC in residential homes is changing and many contractors are still learning about what’s new. Homeowners can help educate themselves online. Some sites to check out include the LEED for Homes guidelines for new homes or the new ReGreen Residential Remodeling Guidelines. Working with reputable contractors such as those training through Home Performance with Energy Star; certified through North American Technician Excellence, a nationwide certification program to ensure that qualifying technicians have a core set of competencies; or through local green building programs, such as EarthCraft House®, a residential green building program of the Greater Atlanta Home Builders Association in partnership with Southface, also can be of help. 13 or more: Seasonal Energy Efficiency Ratio (SEER) rating. Thirteen is the minimum rating for air conditioners manufactured after Jan. 26, 2006. SEER is the ratio of the cooling output in BTU divided by the power consumption in watts per hour. 8 to 10: Heating Season Performance Factor (HSPF) rating. Eight to 10 are high efficiency ratings for air-source electric heat pumps. The ratio is determined by dividing seasonal heating output in BTU by the power consumption in watts. 83 percent and 90 percent and higher: Annual Fuel Utilization Efficiency (AFUE) rating. The efficiency percentage at which Energy Star-qualified oil and gas furnaces start. It is a measure of the amount of fuel converted to space heat in proportion to the amount of fuel entering the furnace. However, a high percentage, such as for an all-electric furnace for example, must be balanced out with the cost of the energy. 1/2010: In accordance with the Montreal Protocol, the date after which chemical manufacturers may only produce R-22 refrigerant to service existing air conditioning equipment but not new equipment. Only pre-existing supplies, such as recycled R-22, could be used to produce new air conditioners and heat pumps. 1/2020: Date after which chemical manufacturers will no longer be able to produce R-22 to service existing air conditioners and heat pumps. The servicing of R-22-based systems will rely on recycled refrigerants. R410A: A refrigerant substitute for R-22. It is a blend of hydrofluorocarbons (HFCs), substances that do not contribute to depletion of the ozone layer, but, like R-22, still contribute to global warming. 30 percent to 50 percent: The amount of relative humidity needed to make a home comfortable. Depending on a homes location, it might require spot ventilation or humidification or a whole-house humidification or dehumidification system. 70 percent: Relative humidity at which mold and mildew start to grow. 20 percent: Percentage of heating and cooling system efficiency you could be losing by having leaky ducts. 1 in 4: Number of furnaces in U.S. homes that are more than 20 years old.